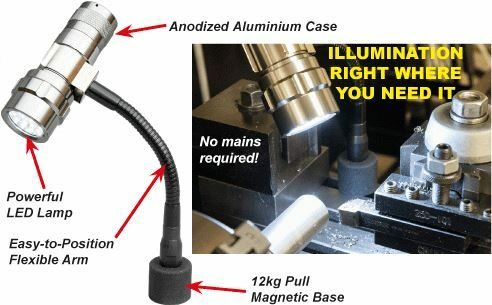 Powerful 14 LED machine lamp in anodized aluminium case. Battery operated - 3xAAA batteries (included). Compact magnetic base (12kg pull) with easy-to-position flexible arm. 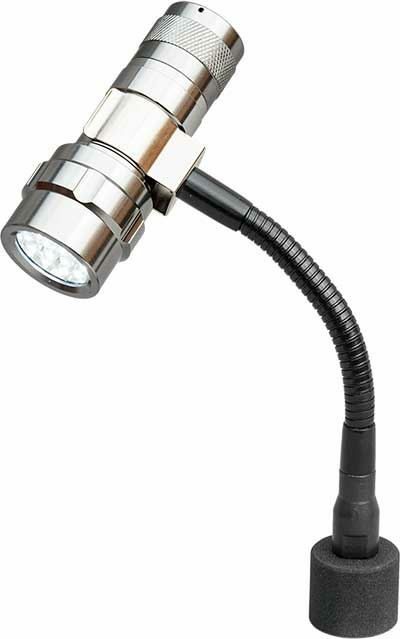 Arm length (base to lamp centre): 200mm.